We have an app for those of you on the go! 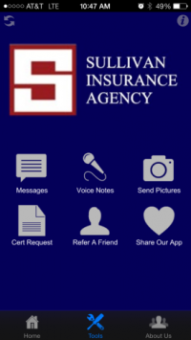 Our mobile app gives you the ability to quickly access our team, request coverage certificates, submit a claim, send us pictures and much more! Contact us if you have any questions, comments or ideas on how to make our mobile app a better resource.